Have you ever had a craving for something and have it throw off your whole day of trying to stick to a “clean eating” day? Been there. That’s why I was interested to give MealEnders Signaling Lozenges a try. They’re a way to hit the “pause” button on a craving. I have many challenges in trying to maintain a healthy lifestyle and weight–and sugar cravings are right at the top of my list. Some days I swear they are out to get me! So I was intrigued by what MealEnders Signaling Lozenges aren’t: they aren’t a drug or contain herbs or stimulants. 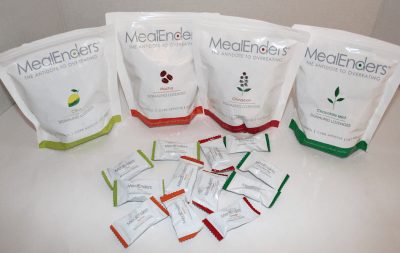 MealEnders are a low-calorie, low-fat, gluten-free, Kosher way to curb your appetite. Each one has one 15 calories and 2 grams of sugar. So how do MealEnders work? By using a duo-sensory taste system that engages brain and body. MealEnders Signaling Lozenges have two layers: a sweet, outer layer that satisfies that urge for something sweet and a cooling/tingling inner layer. You don’t bite into it; instead you let the MealEnder slowly dissolve. In my own experience, I’ve noticed that I get that instant gratification of the “sweet” and by the time that’s dissolved and I’m into the inner layer, my craving is gone. Brilliant! My craving is satisfied and I can move on, without grabbing for something sweet and de-railing my day. It allows me to regain control. You can find out more about MealEnders and purchase if you’re interested, at mealenders.com. 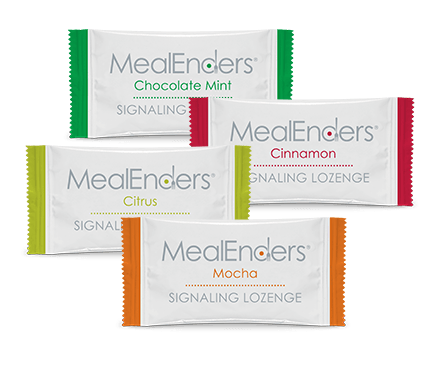 MealEnders Signaling Lozenges come in 25-piece pouches and are available in four different flavors: Chocolate Mint, Cinnamon, Mocha, and Citrus. My favorite is the Chocolate Mint. In my opinion, MealEnders are a good way to satisfy your cravings–especially the ones that pop up when you don’t know what you want, you’re not really hungry, but need “a little something”. 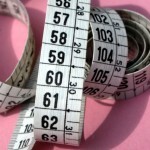 How do you curb the “mindless eating” habit? Let me know in the comments! 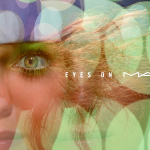 Disclosure: Press samples were provided by the brand and FitApproach for editorial consideration, product testing, photography and review.